CHICAGO (WLS) -- Police are questioning two men after a Chicago mother was found beaten to death in her Southwest Side home. Investigators said the victim was found with "blunt force trauma to the head" in the basement of her house in the 4800-block of South Karlov Avenue around 8:10 p.m. Wednesday. 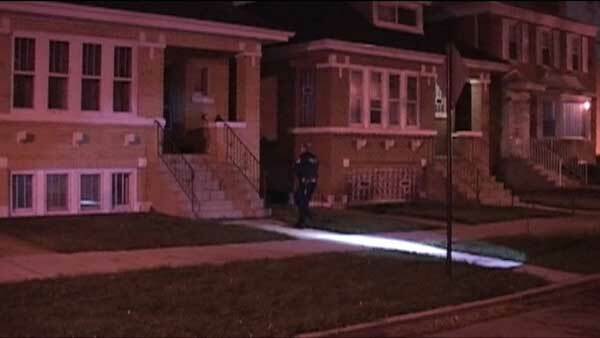 The Cook County medical examiner's office identified the victim as Maria Sadelski, 54. Neighbors said they heard a loud noise and ran outside to see what happened. They saw police separating men who were struggling and screaming. One of them may have been Sadelski's son. Esmeralda Flores, who lives next door, was shocked to hear of her neighbor's death. "We just were watching TV. While were there, that was happening. It's just really scary to think that could happen. They were always really nice to us, really nice neighbors," Flores said. Police also said a car crashed into a garage nearby. They are looking into whether the crash is related to their homicide investigation.